The University of Florida Food Science and Human Nutrition Department announces a public meeting. A copy of the agenda, if any, may be obtained by writing to University of Florida, Food Science and Human Nutrition Department, at 572 Newell Drive or by calling Bobbi Langkamp-Henken at 352-294-3721. Pursuant to the provisions of the Americans with Disabilities Act, any person requiring special accommodations to participate in this workshop, hearing, or meeting is asked to advise the University of Florida at least 72 hours before the workshop/hearing/meeting by Bobbi Langkamp-Henken at 352-294-3721. If you are hearing or speech impaired, please contact the University by calling 352-846- 1046 (TDD). 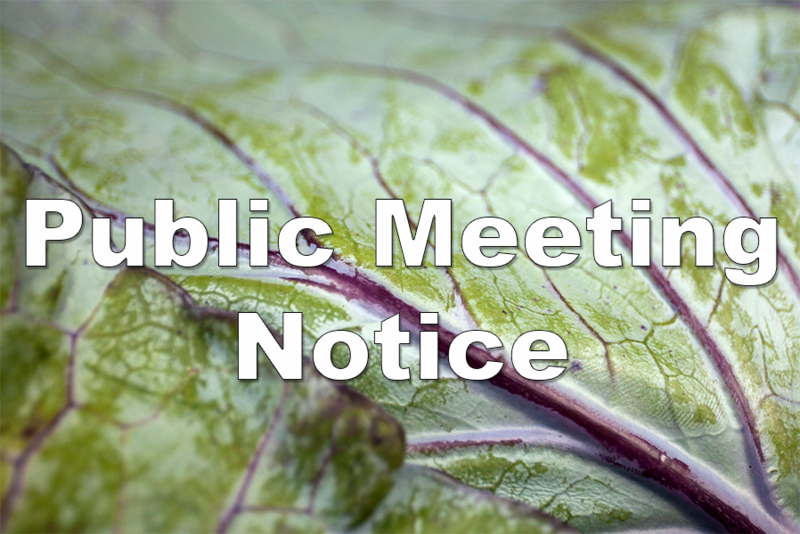 Any person who wishes to appeal a decision made by the University of Florida Food Science and Human Nutrition Department with respect to any matter considered at this public meeting, hearing, or workshop, will need a record of the proceedings. For such purpose, he or she may need to ensure that a verbatim record of the proceedings is made, which record includes the testimony and evidence upon which the appeal is based.